Apple Leisure Group (ALG) executive vice president and chief strategy officer, Javier Coll, has revealed that the company plans to grow its European portfolio to 35 hotels and 10,000 rooms across the continent by 2021. Coll, who is responsible for the company’s business operations and expansion in Europe, was joined by fellow ALG executives during a press conference at the FITUR International Tourism Fair, where they outlined the company’s achievements in 2018 and European expansion plans. Executives said the company’s expansion into Europe was a natural next step in its aggressive growth strategy and allowed ALG to capitalise on its existing relationships with hotel companies and tour operators it already partners with to sell its resorts in Mexico and the Caribbean. ALG, North America’s only vertically integrated travel, hospitality and leisure management group, focused its first step on establishing its European presence in the Mediterranean. Coll added that, following the company’s anticipated success in Spain, ALG plans to close 2019 with a new property in another European country such as Greece or Turkey. “We are analysing several projects as we have received great interest from owners,” said Coll. The company’s expansion plan hinges on offering a differentiated hotel product, such as luxury, all-inclusive resorts, in which ALG specialises. Executives seized the opportunity at FITUR to announce to potential investors that ALG offers a customised approach tailored to each individual owner’s needs, regardless of whether they own a large hotel chain or a small family business. “Due to our partnership with Alua, we have been able to enter the European market quickly and strategically,” said Alex Zozaya, CEO of ALG. The group has started the year managing 16 hotels, 12 of which are in operation under the Alua Hotels & Resorts brand. 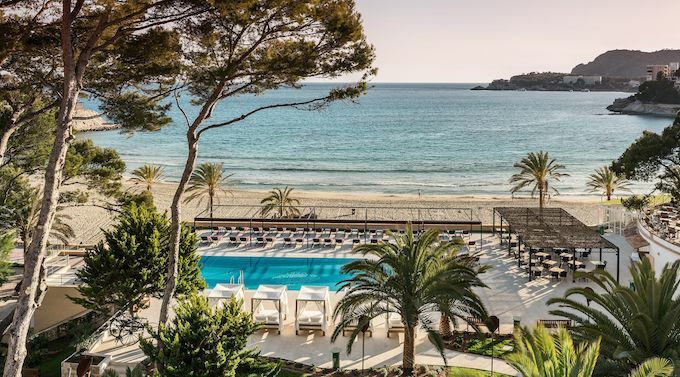 Through ALG’s partnership with GIHSA, the company will open Secrets Mallorca Villamil Resort & Spa in March 2019, followed by an event in June in Palma de Mallorca to officially launch the four hotels under AMResorts’ brands. Joining Coll and Zozaya at the press conference were John Hutchinson, president of ALG; Gonzalo del Peon, president of AMResorts and Unlimited Vacation Club; Javier Águila, president of Apple Leisure Group Europe; and Jordi de las Moras, managing director of AMResorts Europe. ALG also announced that it closed 2018 with more than 22,000 rooms in its open resort portfolio and an additional 12,000 in development, following another year of double-digit growth. ALG now boasts 63 open resorts, and 25 in its development pipeline, in 11 countries across eight leading brands. The company’s aggressive expansion will continue in 2019 as it enters new markets across Europe, as well as in popular destinations throughout Mexico, the Caribbean and Central America. “2018 marked another year of tremendous growth for ALG as investor appetite for international hotel development only continues to increase,” said Coll, who is responsible for the company’s business operations in Europe. In December 2018, ALG announced the signing of an agreement to purchase a majority share in Alua Hotels & Resorts, a major Spanish hotel chain. With this transaction, ALG will now manage more than 4,000 rooms in Spain and will have the structure and capacity to manage hotel properties throughout Europe. 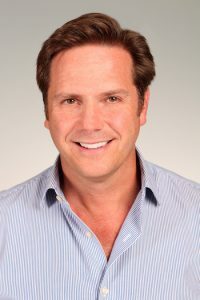 As part of the agreement, Javier Águila, founder and CEO of Alua Hotels & Resorts, assumed the role of president of Apple Leisure Group Europe, and will work together with Coll to adapt AMResorts’ award-winning brands to the European market with the goal of growing with a unique offering for the market. Jordi de las Moras continues as managing director of Apple Leisure Group’s resort segment in Europe. “The addition of Alua Hotels & Resorts as the newest brand in our ever-growing AMResorts collection is the strategic next step in ALG’s European expansion,” said Jordi de las Moras. The Alua acquisition added 12 hotels to ALG’s portfolio, joining the four planned resorts in Europe the company announced earlier in the year. Through a strategic alliance with Grupo Inversor Hesperia, ALG will bring AMResorts’ award-winning brands, Secrets Resorts & Spas and Dreams Resorts & Spas to the market. While ALG has its eyes on key European markets, the company is also reinforcing its presence in popular beachfront destinations where it already has a strong foothold. The company recently announced development of Breathless Tulum Resort & Spa, in partnership with Grupo Hotelero Santa Fe. 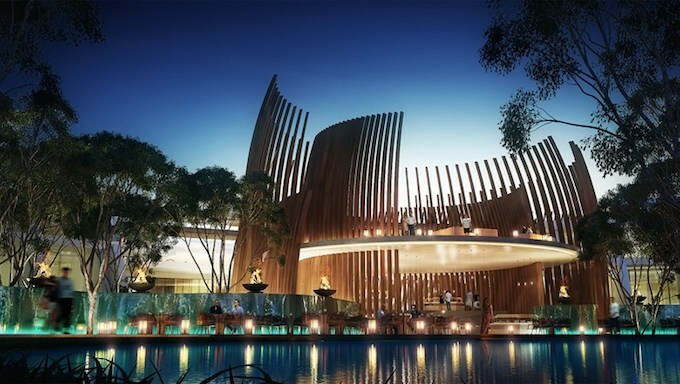 Scheduled to open in 2021 in a spectacular setting, the 300-suite resort marks the fifth property for the award-winning Breathless Resorts & Spas brand. “Now more than ever, hotel owners need a partner that can not only help them break into the highly competitive hospitality industry in Mexico and the Caribbean, but who can also consistently deliver exceptional value and increased ROI,” added Coll.